A cryptocurrency asset manager is mimicking the playbook of one of the industry’s most notable critics: Warren Buffett. Morgan Creek Digital is recreating Buffett’s famous $1 million wager pitting the performance of the S&P 500 against a group of hedge funds. But unlike the famous value-investor, Morgan Creek is betting against the S&P and placing its faith in the 10-year performance of cryptocurrencies. The crypto investing firm calls the challenge “Buffett Bet 2.0,” and invites any investor who believes the S&P 500 will produce better returns than their basket of cryptocurrencies over a decade to take the other side of the bet. Anthony Pompliano, co-founder and partner at Morgan Creek Digital, said whoever takes the other side will likely be someone with the same outlook as Buffett. It’ll be either someone who is bullish on the S&P 500, or someone who thinks cryptocurrencies are worthless or overvalued. Pompliano pointed to recent losses is in FANG stocks and other investor favorites. These once high-flying tech stocks have taken a beating lately, with Facebook leading the group down, with a 24 percent loss year over year. Still, the losses look minor compared to cryptocurrencies. Bitcoin, the world’s largest and best-known cryptocurrency, was down 37 percent in November alone. The digital currency has dropped 73 percent this year after climbing to almost $20,000 last December. Morgan Creek was co-founded by Mark Yusko, former chief investment officer of the University of North Carolina’s endowment. The index fund, the result of a partnership with Bitwise, offers accredited investors like professional investors and high net-worth individuals access to a basket of the top cryptocurrencies by market value. Pompliano said the index fund, which requires a minimum $50,000 investment, was structured to give similar exposure to the S&P 500, just with cryptocurrencies. Buffett, who recently called cryptocurrencies “rat poison squared,” took a $1 million bet against asset manager Protégé Partners in 2007. The billionaire investor wagered his own money that a passive investment in the S&P 500 would outperform a sample of five actively managed hedge funds. 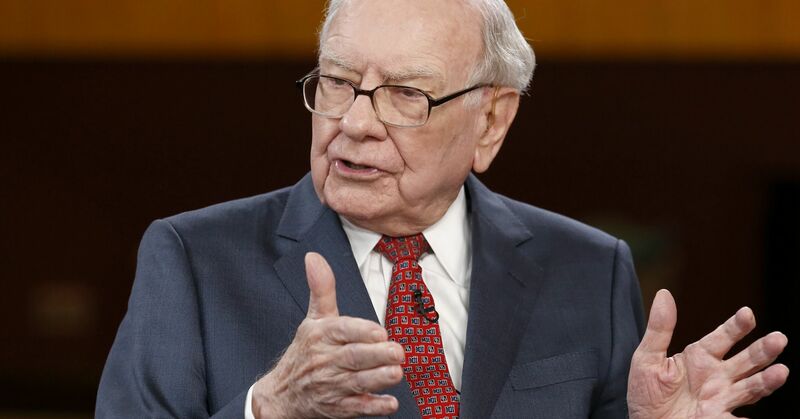 Buffett won that bet in 2017, with the S&P returning about 7 percent compounded annually versus a 2.2 percent from the hedge funds, whose names were not publicly disclosed. Similarly, Morgan Creek partners are personally funding their side of the $1 million bet and said they would not be relying on money from the fund. They still need whoever takes the opposite side of their bet to agree, but Pompliano said the intention is for the winner to donate the proceeds to charity.